Dr. Jessica Thorn is currently a postdoctoral research fellow working on participatory modeling of social-ecological systems for the Mountain Sentinels Collaborative Network. Born in the vast Namib desert, she draws from eleven years of work experience, travelling to over 50 countries. She gained her BSocSci (Hons) from the University of Cape Town, South Africa, in psychology and environmental and geographical science, as well as her MSc from the Environmental Change Institute, University of Oxford. She was awarded a scholarship to complete her DPhil at the Biodiversity Institute, University of Oxford in the UK. After conducting research and working with a community-based organization to access housing for 164 poor urban dwellers in the City of Cape Town, as coordinator of the Climate Action Partnership of Conservation International, Jessica managed eight conservation programs across South Africa for landscape approaches for climate mitigation and adaptation. She then was selected as Young Scholar for Humanitarian Aid for the UN International Strategy on Disaster Risk Reduction and the Red Cross Red Crescent Climate Centre on urban flooding in Nairobi and Western Kenya. Her PhD took her to South Asia (i.e. Terai Plains of Nepal, Central India) and West Africa (i.e. Northern Ghana), where she quantified the impact of climate change on ecosystem service provisioning, biodiversity and wellbeing of smallholder farmer agroecosystems. As part of this work with the CGIAR Climate Change Agriculture and Food Security, Jessica facilitated national- and community-level governance workshops related to themes of food security, agriculture, water and soil management. She developed and trialed methodologies for climate adaptation, designed training modules, established women’s cooperatives and early childhood development centers and helped to developed regional diverse, plausible scenarios. She has also conducted research for the Centre for International Forestry Research, Kew Royal Botanical Gardens, Cambridge, London School of Economics, Brown University, University of Cape Town, Western Cape Government and is a contributing author to The Economic of Ecosystems and Biodiversity reports. More recently, Jessica taught international summer courses in Global Biodiversity Trade and Indigenous Communities, Field Ecology, Urban Geography, Global Challenges for the 21st Century, and Cities of the South at the University of Oxford. Working in the policy-research interface, Jessica sits on advisory boards for CBOs in Kenya, Nepal, Peru and South Africa; is an elected CSO member of the Global Environmental Facility; has advocated for ecosystem-based disaster risk reduction at the Global Platform for Disaster Risk Reduction in Mexico; and has managed organic horticultural production and reforestation programs in Peru. She was elected a member of the League of European Research University (France) and awarded the Cornell Brettschneider fellowship (USA) for promoting collaborative work between artists and environmental scientists. 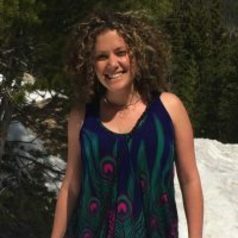 Jessica came to CSU in September 2016 to work on an NSF – a research project which employs probabilistic models to assess the potential impact of climatic and demographic change on local actor decisions, and how this in turn effects outcomes of ecosystem service provisioning, land use change and livelihoods. In this role, she regularly communicates with scientists and practitioners from around the world, using datasets from Tibet, Switzerland and Kenya, collaborating with colleagues in NREL, ETH Zurich, the University of York, Helsinki, Florida and Oregon State. This will continue Jessica’s work in conservation, climate adaptation and international development. She enjoys the rich offerings of Colorado, such as hiking, swimming in lakes, yoga and dancing.